Are you a history buff? Love seeing the way things were? 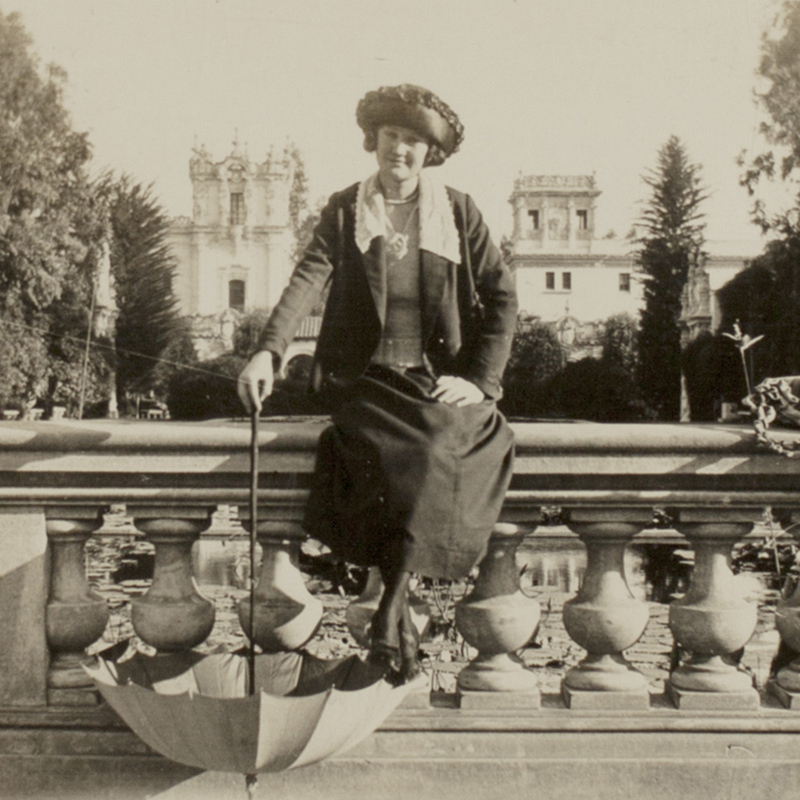 Balboa Park recently celebrated its 100th birthday, and times have changed since the 1915 Panama-California Exposition that put the Park on the map. 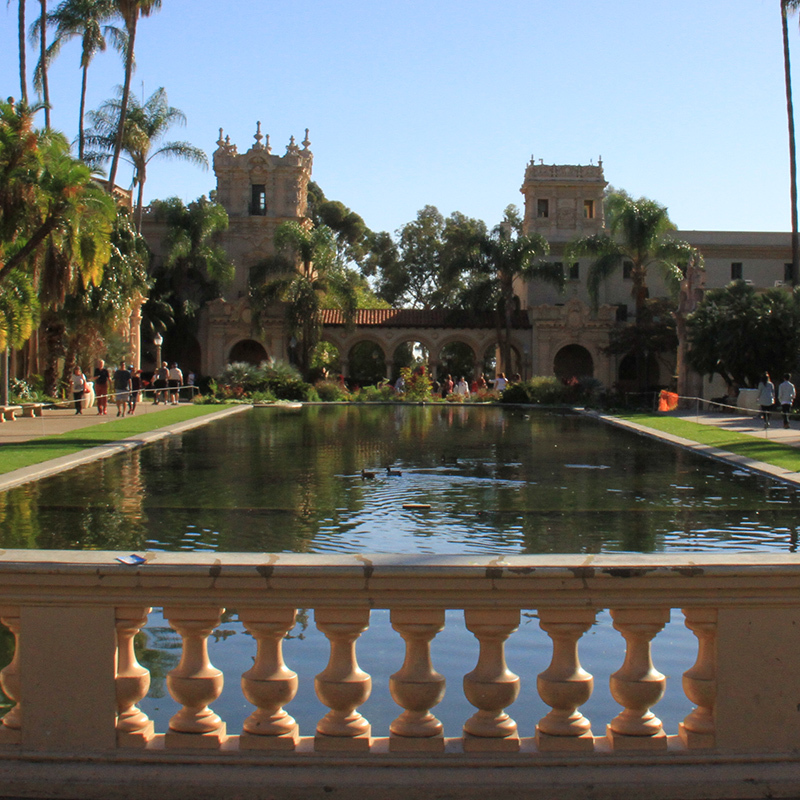 Follow the stops below to take a journey back in time to Balboa Park in 1915. 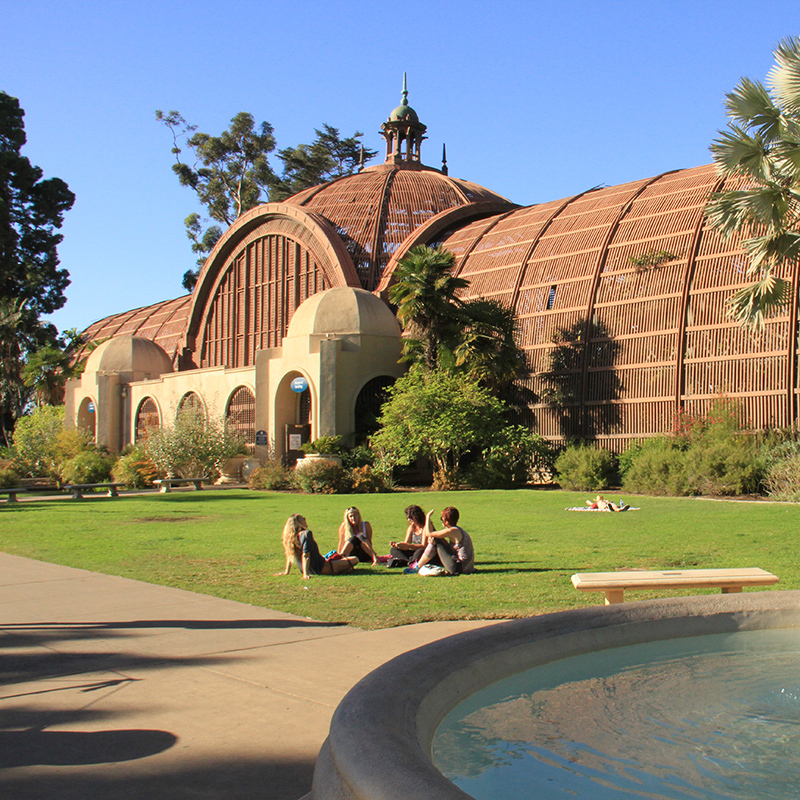 Stop to take in this lovely view of Balboa Park's Botanical Building. 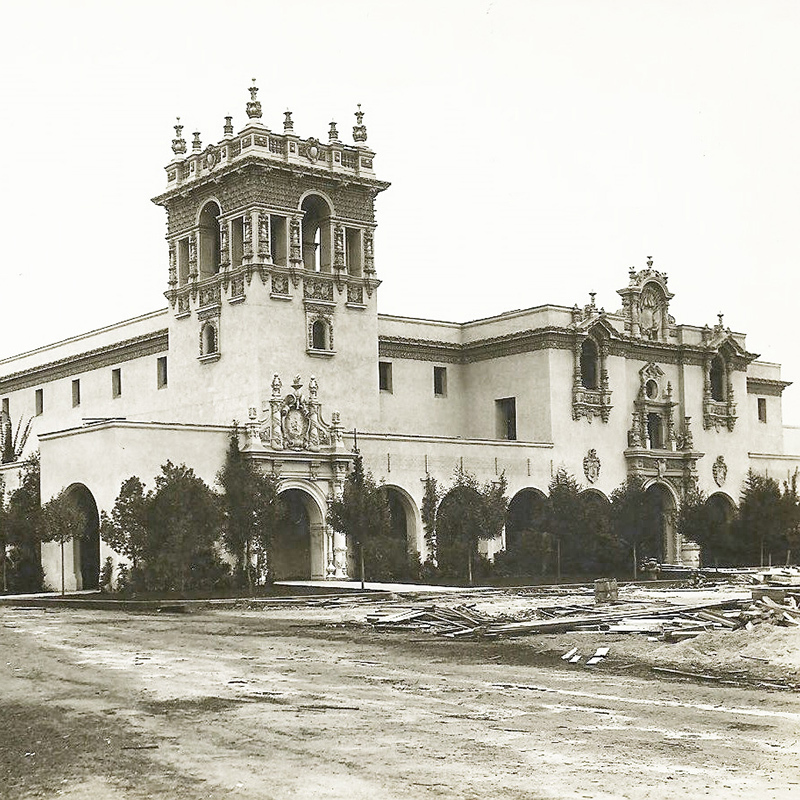 During the 1915 Exposition, the building displayed bamboo, banana trees, palms and more. The designers even hid bird cages in the flora, adding their chirping calls to the authentic outdoor atmosphere. 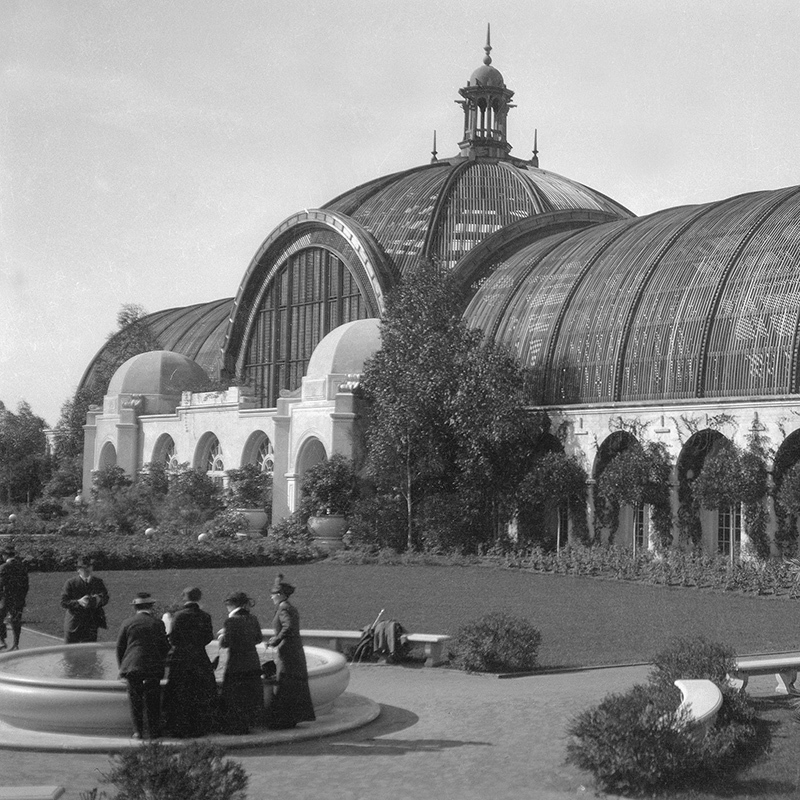 Compare your view of the Botanical Building to this 1915 photo taken from the same spot. What's changed? What's stayed the same? Can you find this spot in the Park? It's in front of the Botanical Building, facing the Lily Pond. Today, it's a popular place for selfies! This was a favorite place for pictures even in 1915. Do you think this well-dressed woman would have snapped a selfie here if she could have? 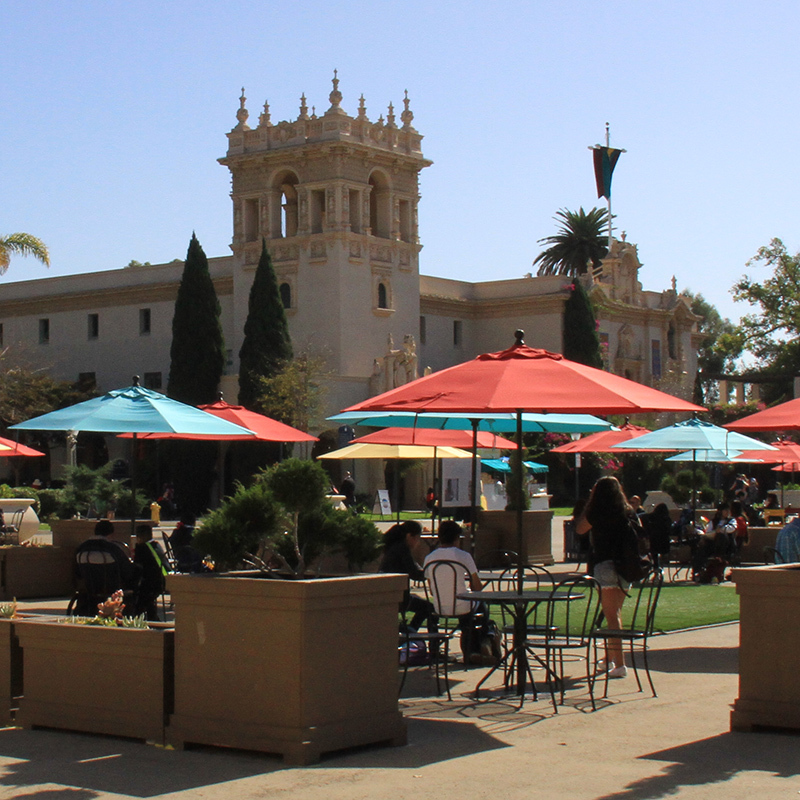 Head into the Plaza de Panama, a scenic and bustling gathering spot in the Park today! Grab a snack and sit at one of the tables and enjoy watching the world go by. The Plaza de Panama was not quite so bustling before the 1915 Exposition. In this 1914 photo, construction is still in progress. 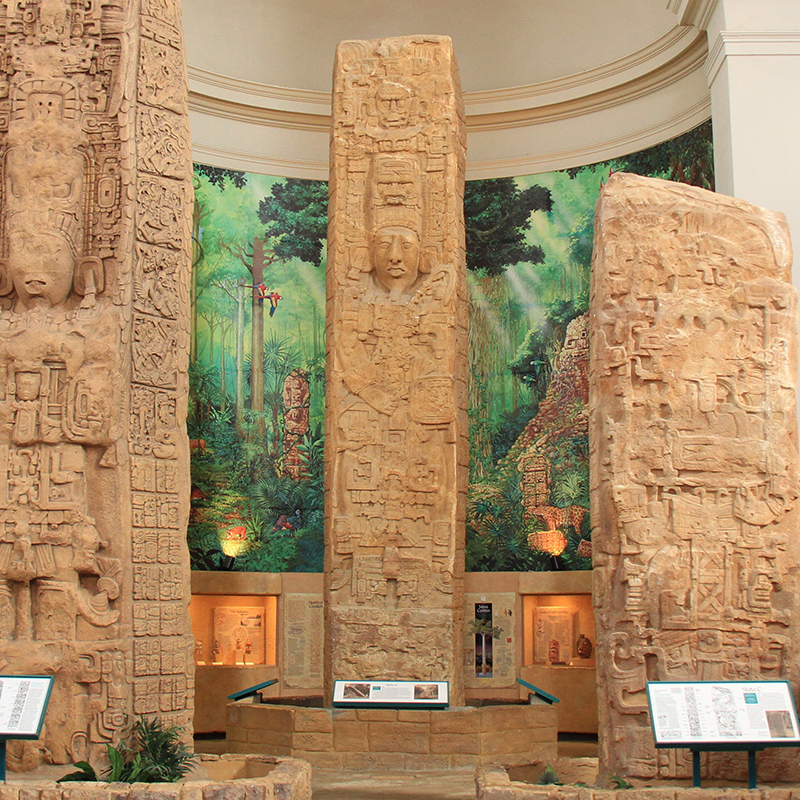 These casts of Maya monuments, or stelae, occupy a prominent position in the San Diego Museum of Man rotunda. 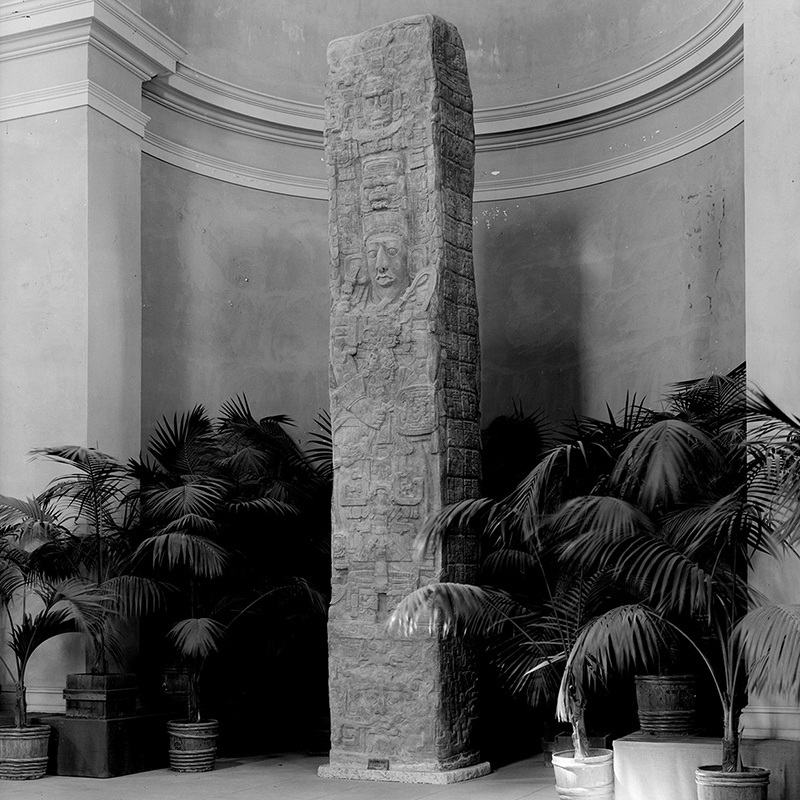 The original stelae on which the casts are based were found at Quirigua, an archeological site in Guatemala. Believe it or not, these casts have been on display in the Museum of Man since the 1915 Exposition, with one exception: during World War II, the Museum, along with other sites in the Park, became a hospital. Here's a 1915 photo of the biggest cast standing in its place in the Museum. Next, walk out beyond the Museum of Man onto the Laurel Street Bridge. Turn around for an iconic view of the Museum of Man's California Tower. 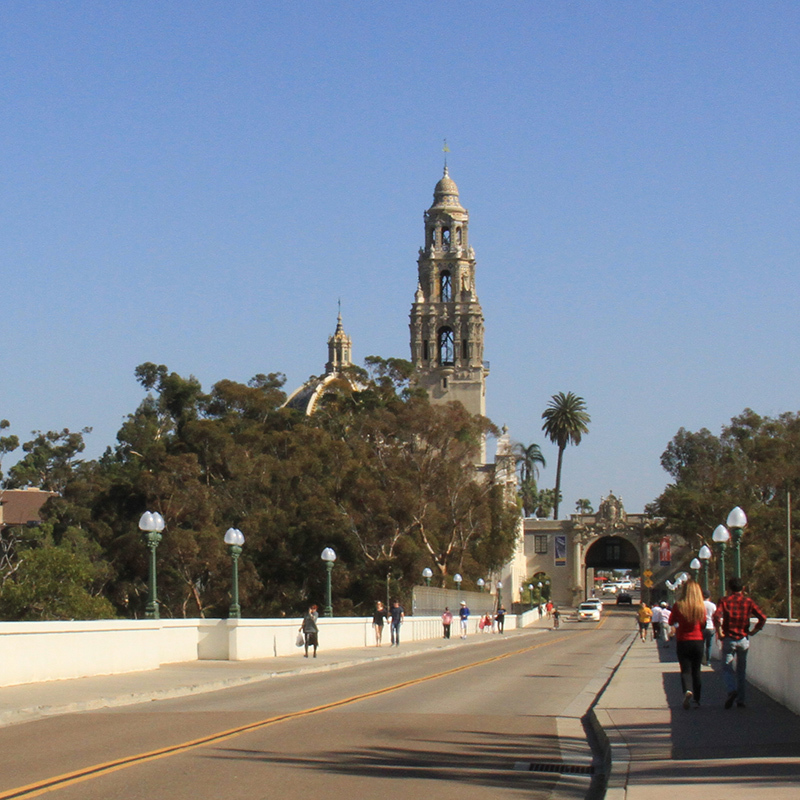 In the years since the Exposition, the tower has become a symbol of San Diego. 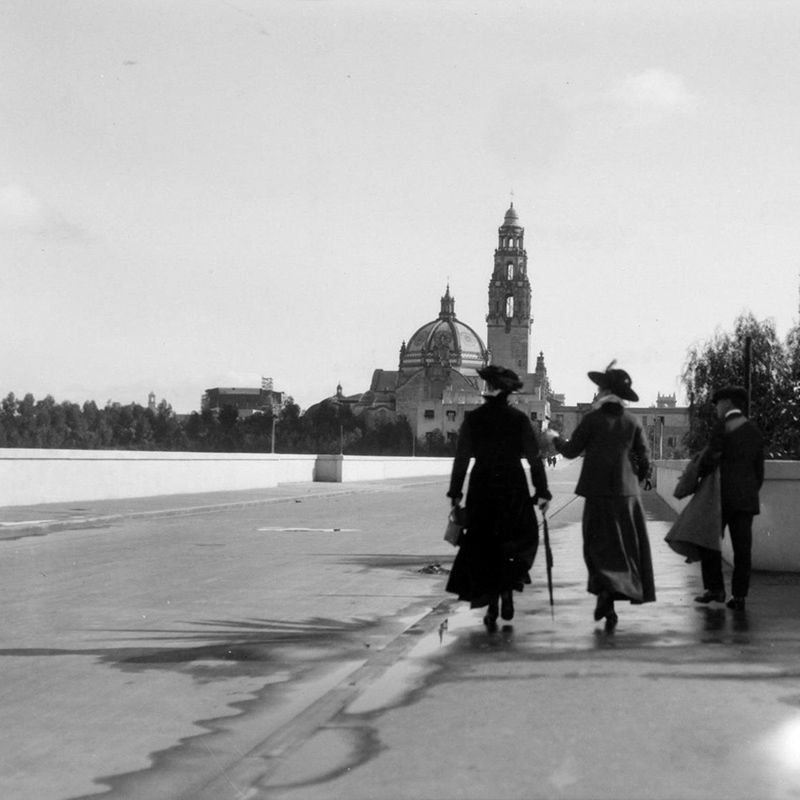 Here's a group taking the same stroll and enjoying the same view of the California Tower in 1915. 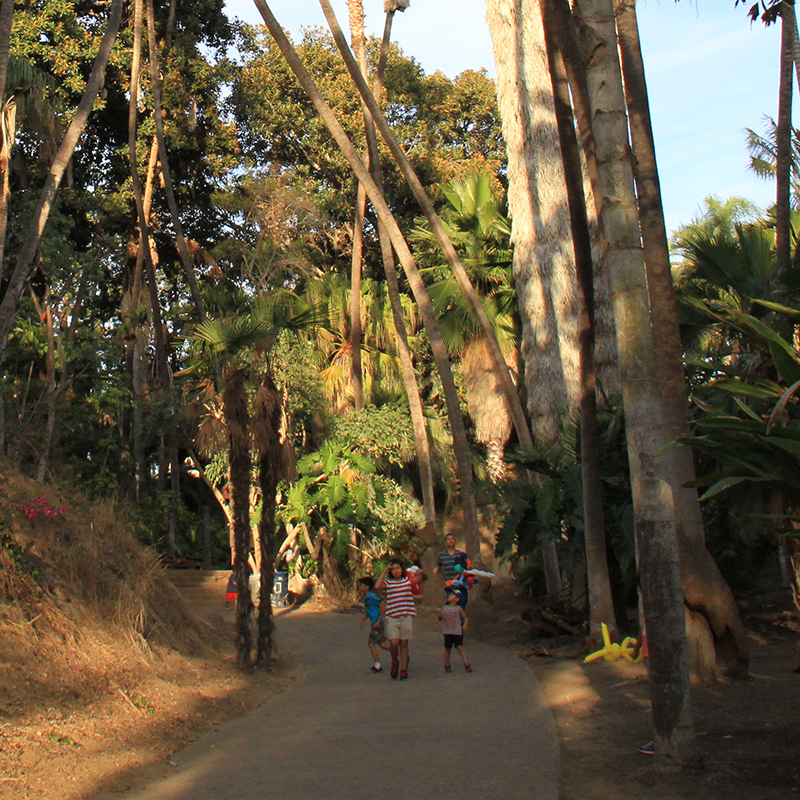 Make your way back into the Park and down into the Palm Canyon, where shaded pathways lead you around 2 acres filled with over 450 palms. The palms in Palm Canyon are more than a century old! Park planners planted them in 1912 as part of preparations for the Exposition. 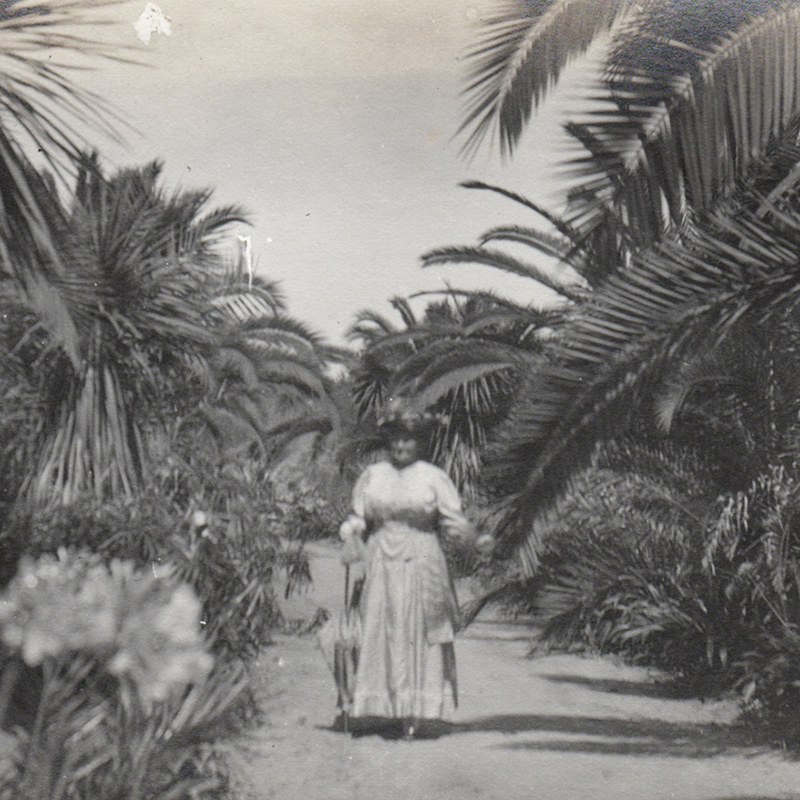 Do the palms look smaller in this 1915 photo? 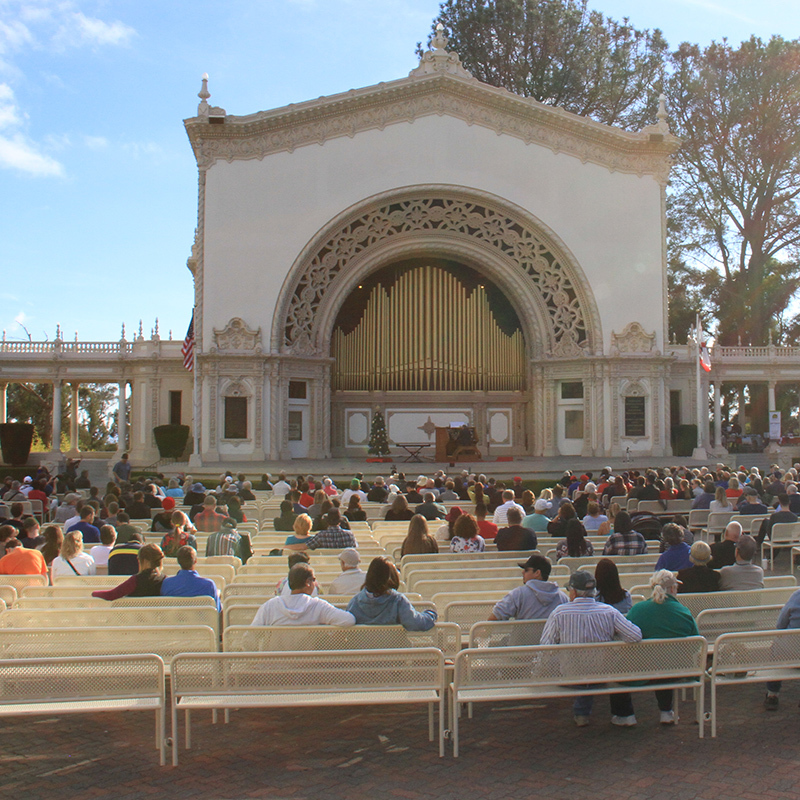 The Spreckels Organ Pavilion is a popular spot in the Park, especially on Sundays, when the Spreckels Organ Society puts on free weekly concerts. 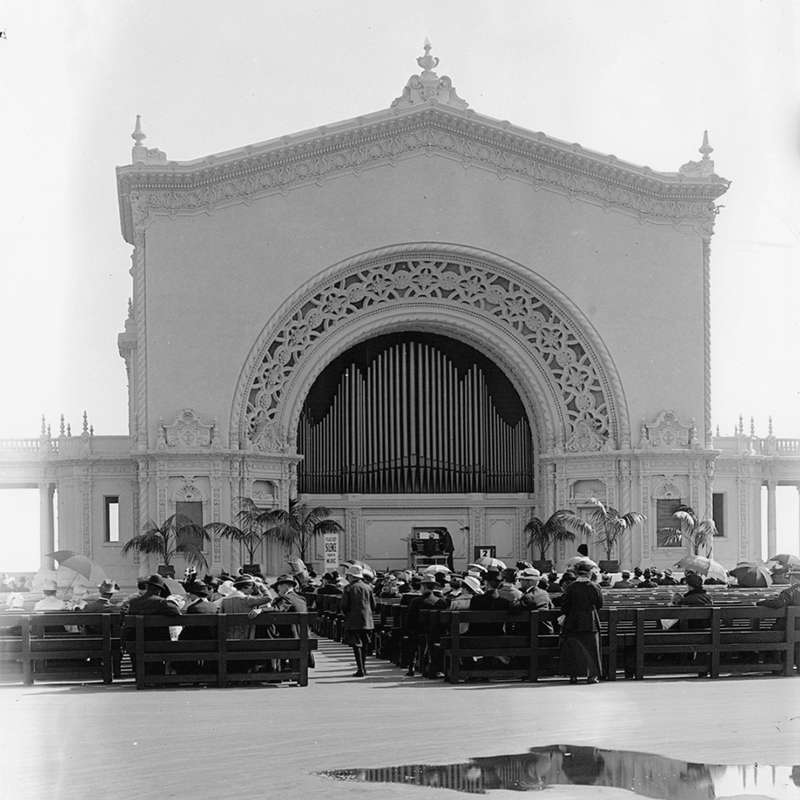 The Organ Pavilion was just as popular in 1915. In this photo, a dapper crowd sits in the sun and enjoys a performance. 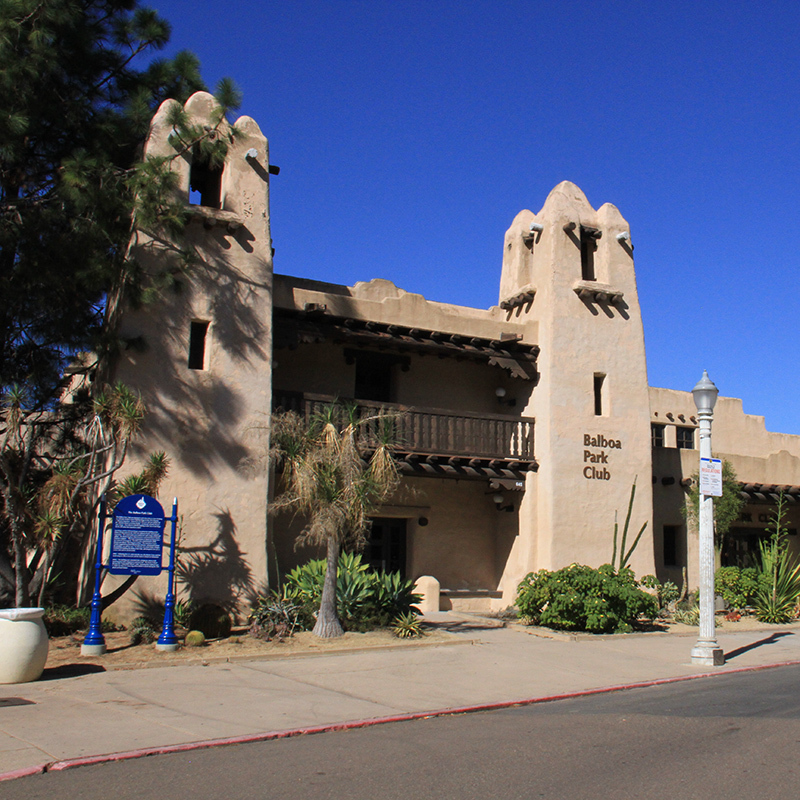 Behind the International Cottages, you'll find the Balboa Park Club. Today it's a popular event venue, with an ballroom that boasts 13,000 square feet of unobstructed wood dance floor. 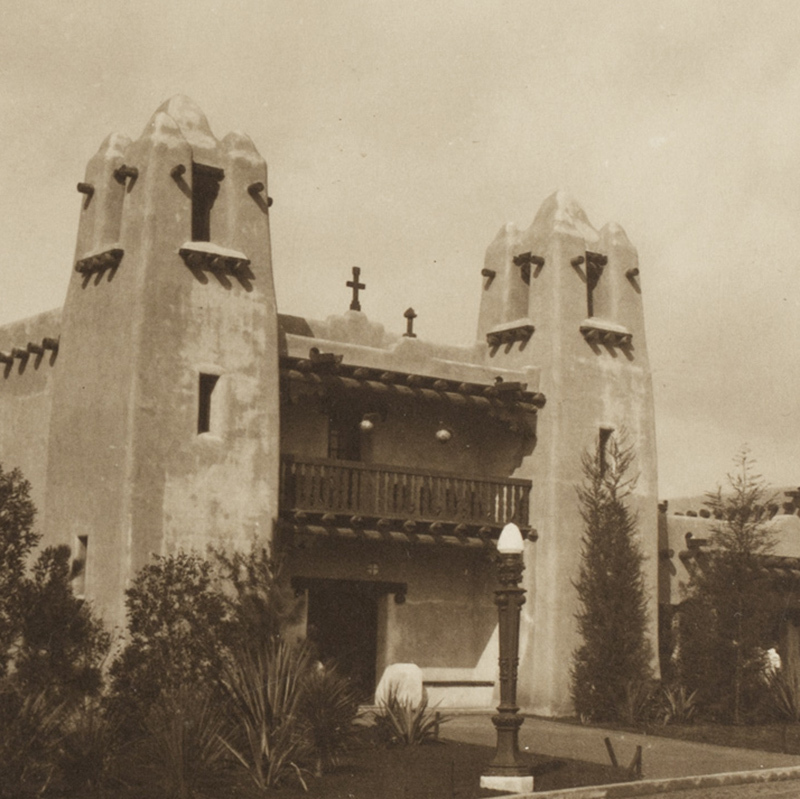 During the Exposition, the Balboa Park Club was called the New Mexico Building. It housed exhibits that showed off the unique aspects of that state. In this photo, you can see how much more has been added to this area since 1915. Thanks for traveling back in time with us. Want to see more great materials from the Panama-California Exposition? Visit pancalarchive.org!